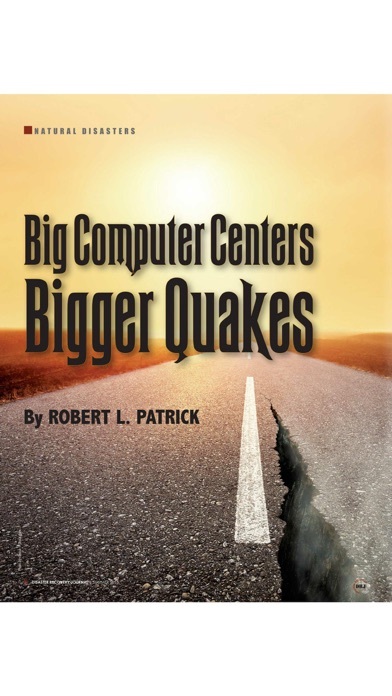 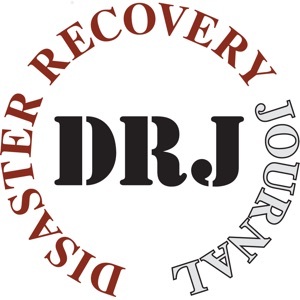 Disaster Recovery Journal is your one resource for cutting-edge business continuity/disaster recovery news. 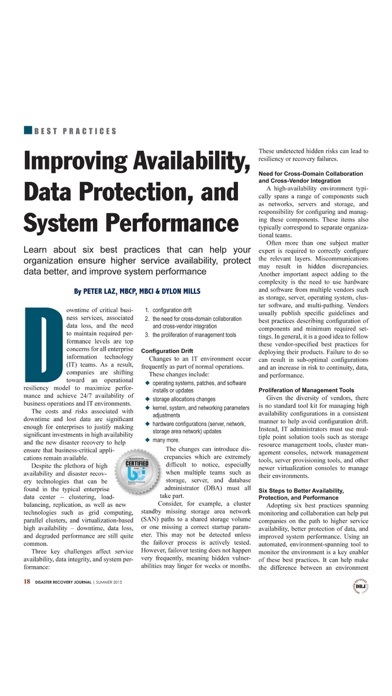 Browse our latest issue to find articles on continuity, enterprise resiliency, records management, IT concerns and much more. 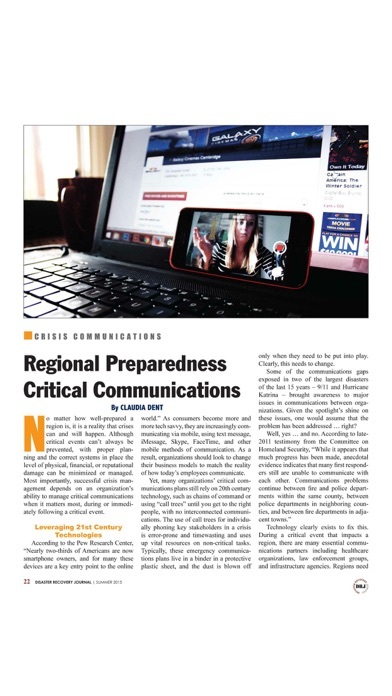 Each magazine is packed with relevant articles written by some of the industry's best. 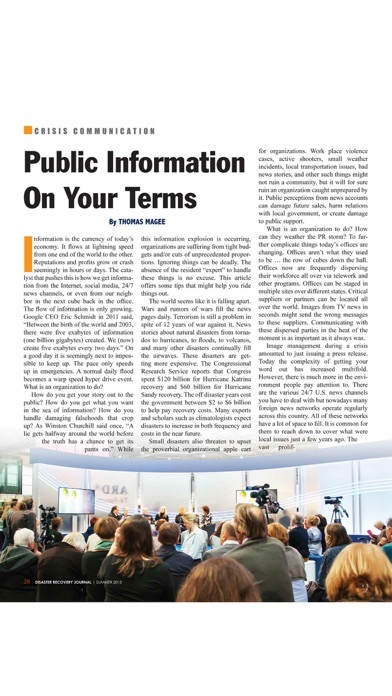 Plus, you'll find our regular columns, surveys and more. 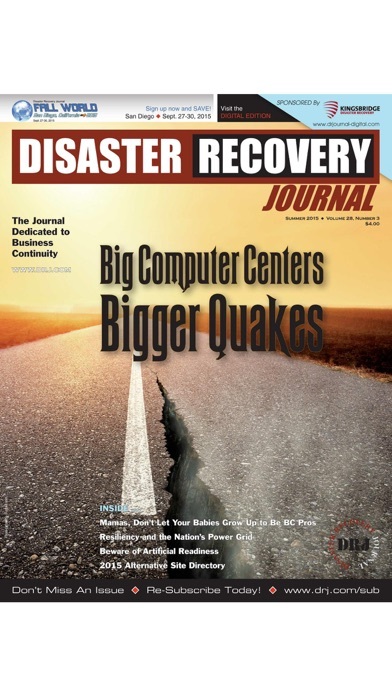 This application is powered by GTxcel, a leader in digital publishing technology, provider of hundreds of online digital publications and mobile magazine apps.